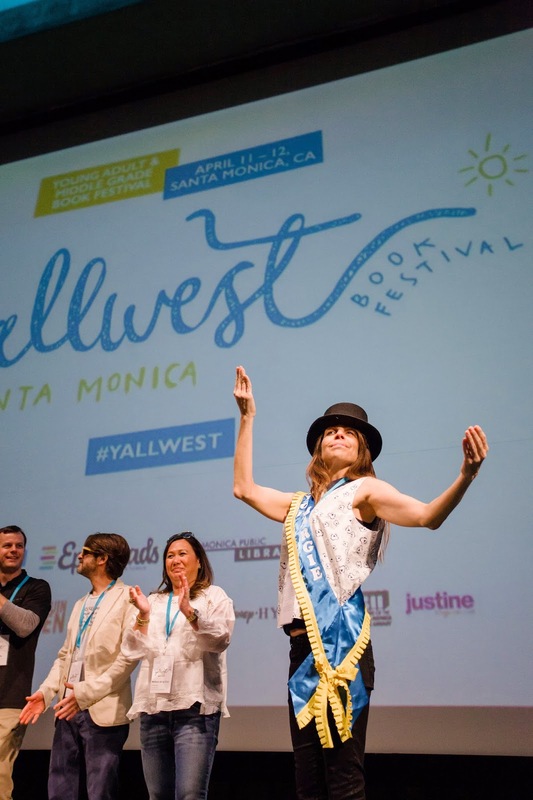 On the second weekend of April (April 11-12) while music lovers were heading to the desert for the first week of Coachella book lovers headed to Santa Monica for the first annual YALLWEST. 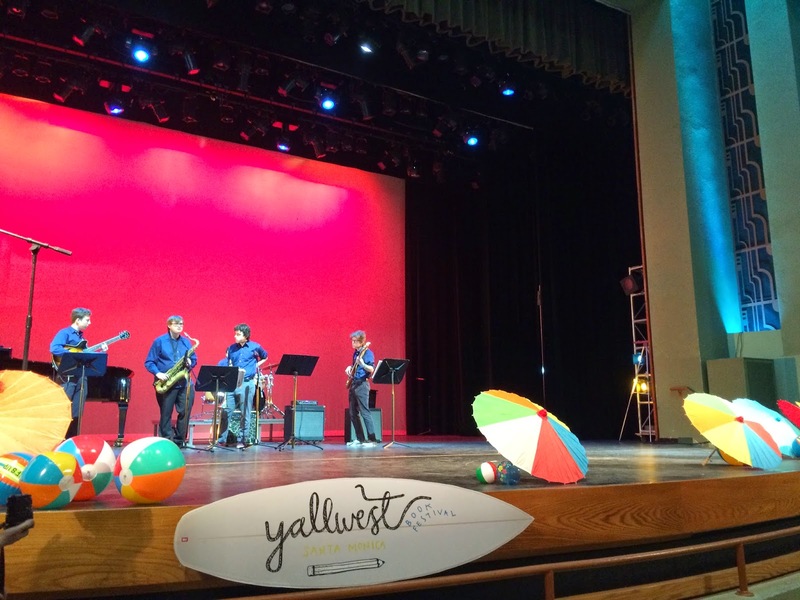 Day one of Yallwest took place at Santa Monica High School. I got there an hour early and there was already a line to get in. When we were finally let onto the campus I met up with my friends. 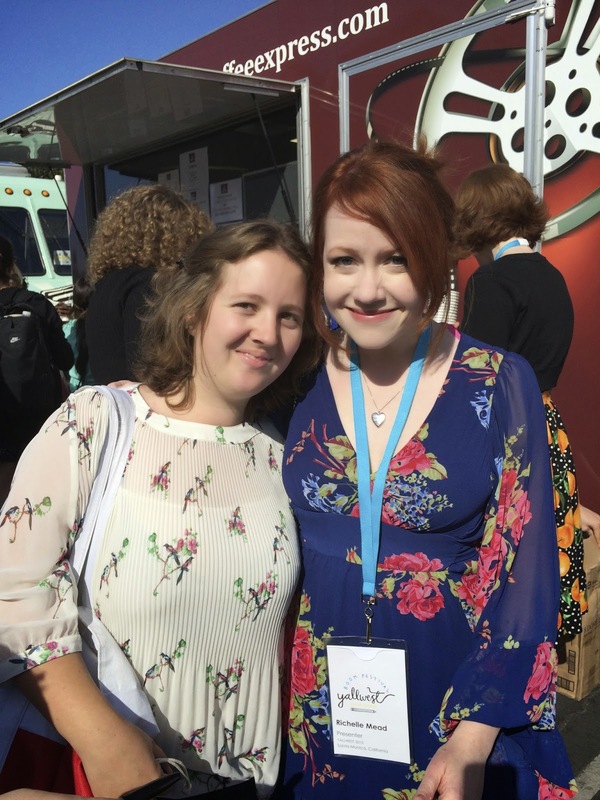 That was when we noticed Richelle Mead and Stephanie Perkins nearby. 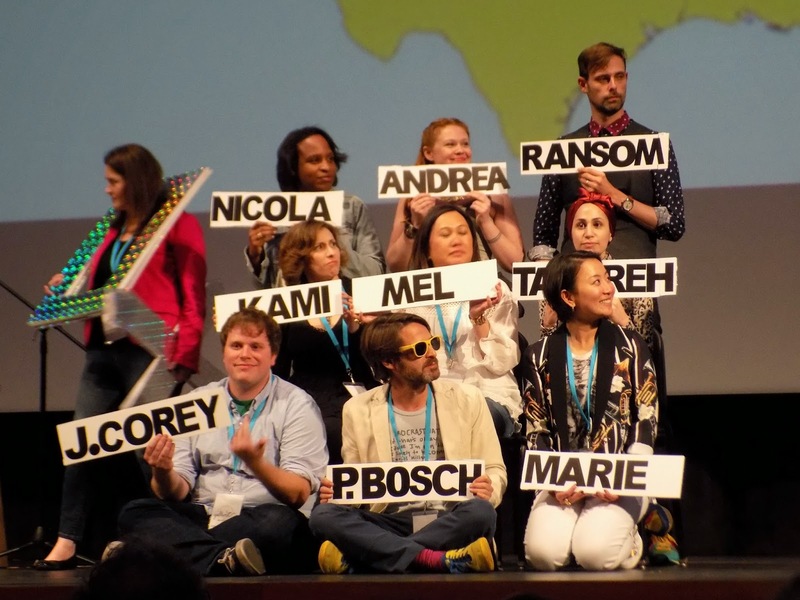 Since my friend Sarah (of What a Nerd Girl Says) and I would be interviewing Richelle later that day we thought we would go up and introduce ourselves. After talking to Richelle (and taking a quick photo) I got my VIP writsband from Melissa de la Cruz and headed to the main auditorium for Ransom Rigg’s keynote address. 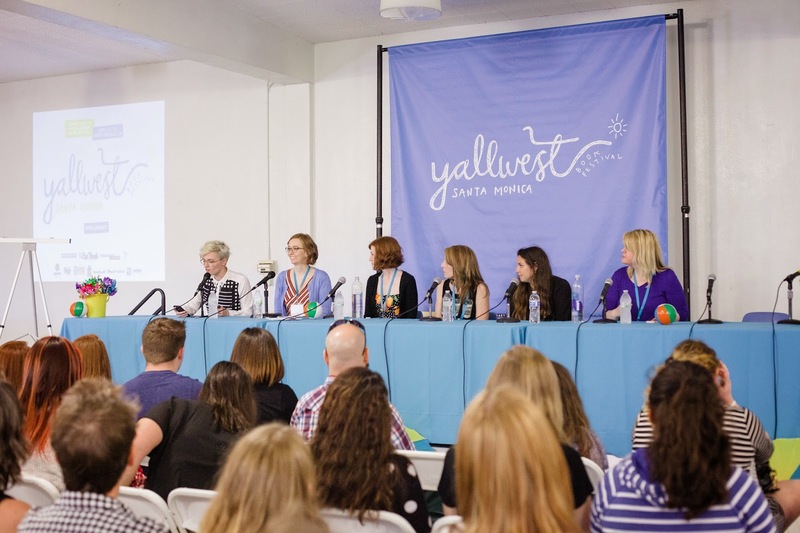 Before Ransom spoke the Mayor of Santa Monica said a few words before naming Margaret Stohl as the “Mayor of Yallwest”. 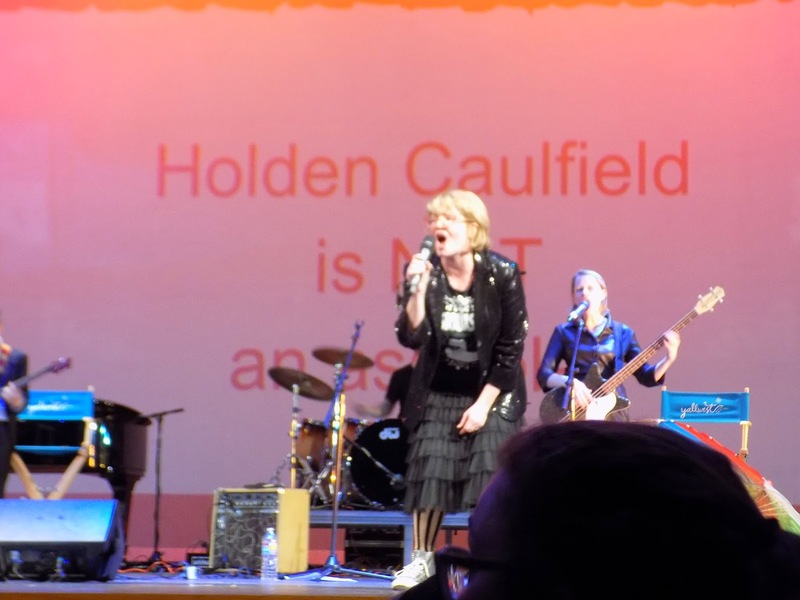 It was shortly after Margaret was given her mayoral sash that I left the auditorium. When I got outside one of the first things I saw was the Epic Reads booth. Not only were they giving away free ARCs (Advance Reader’s Copy) but they had an ARC of Meg Cabot’s new Princess Diaries book “Royal Wedding”. When I asked about it the women at the booth said they would be giving it away in an hour. I really wanted it so I said I would just hang out until they were giving it away. She must have realized how determined I was to get the book because she gave me a copy right then and there. After completely geeking out over my amazing luck I quickly got in line for the Veronica Roth signing. Because the line was so long they had to limit the amount of books you could get signed to only three. This worked out perfectly as I only needed to get Insurgent, Allegiant and Four signed (I had gotten Divergent signed last year at the LA Times Festival of Books). The line was about an hour long but in the end it was totally worth it as I got all my Divergent books signed. Now with Veronica out of the way I headed over to the signing tents (Veronica got her own tent in another area of the festival) to see Richelle Mead. The line for her signing ended up being so long that I decided not to stay (I would be meeting her later for our interview anyway). I have a confession to make: I have not read or watched The 100 (to be perfectly honest I stopped watching the CW after Gossip Girl went off the air) but after meeting Kass Morgan I will definitely be picking it up. After this panel I went straight to the cafeteria for my second panel: “Strong Female Characters’ Ugh”. This sounded like an amazing panel (and not just because it included Veronica Roth, Stephanie Perkins and Victoria Aveyard on the same panel) but because the topic was one that I was very interested in. 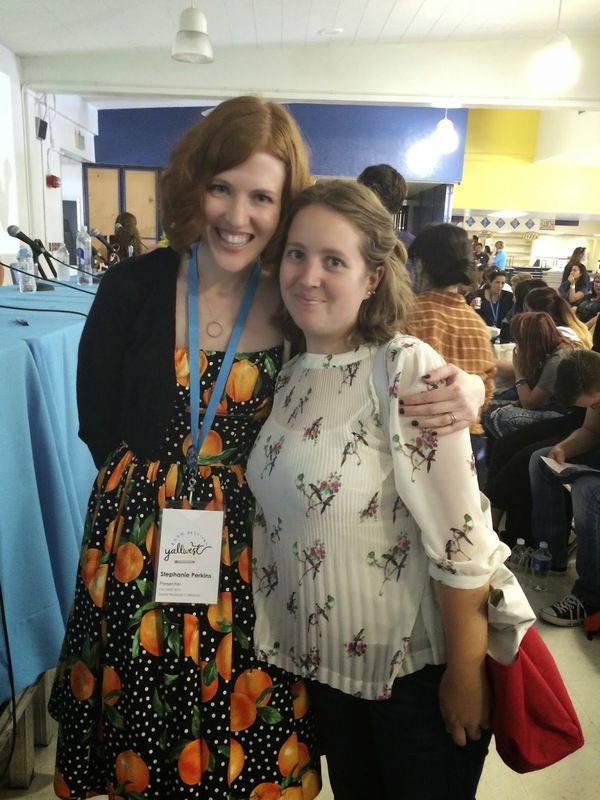 One quote that I heard authors use throughout the festival, and in this particular panel, that I really loved was a Joss Whedon quote that goes “So, why do you write strong female characters? Because your still asking me that question.” I didn’t enjoy this panel as much as I thought because the sound system wasn’t working so I really couldn’t hear most of what the authors were saying. I ended up leaving and waited outside until the next panel. Once this panel was over I went back in (I wanted to get a front row seat for the next panel). Lucky for me Stephanie Perkins stayed after the panel and signed and took pictures with everyone. 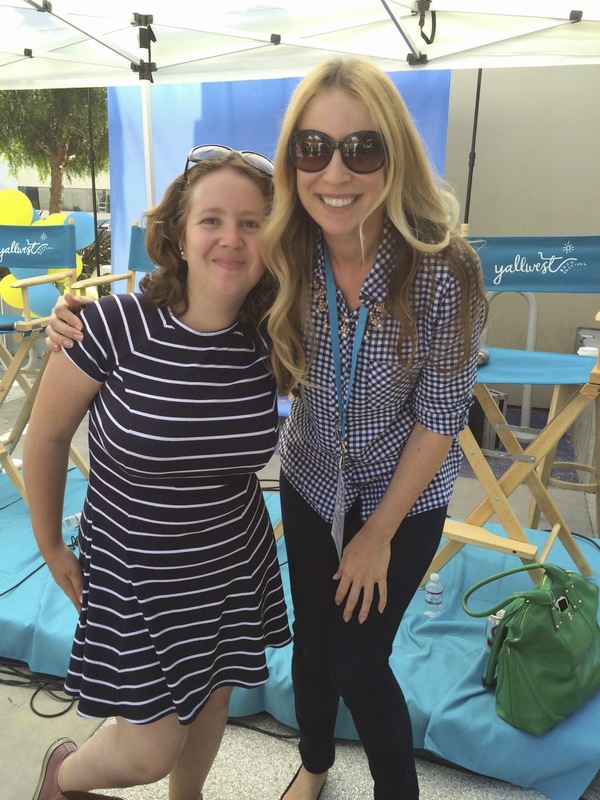 Even though I had already gotten all of her books signed I still wanted a picture with her. 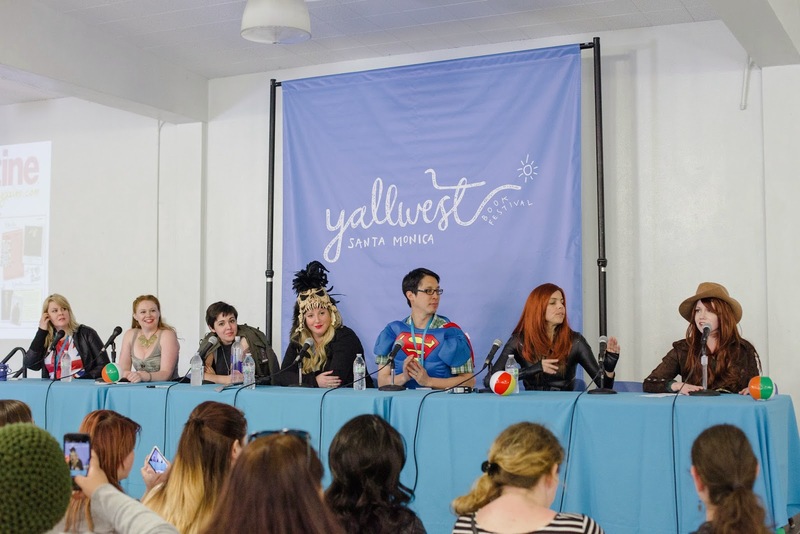 The next panel was “Writers as Superfans: Cosplay Panel”. I have to say I absolutely loved Richelle Mead as Anne Bonnie from Black Sails and Margaret Stohl as Black Widow (who is my favorite Avenger). After the Cosplay panel I went to find my friend Sarah, as we were both going to interview Richelle and I had no idea where we were going to meet her. 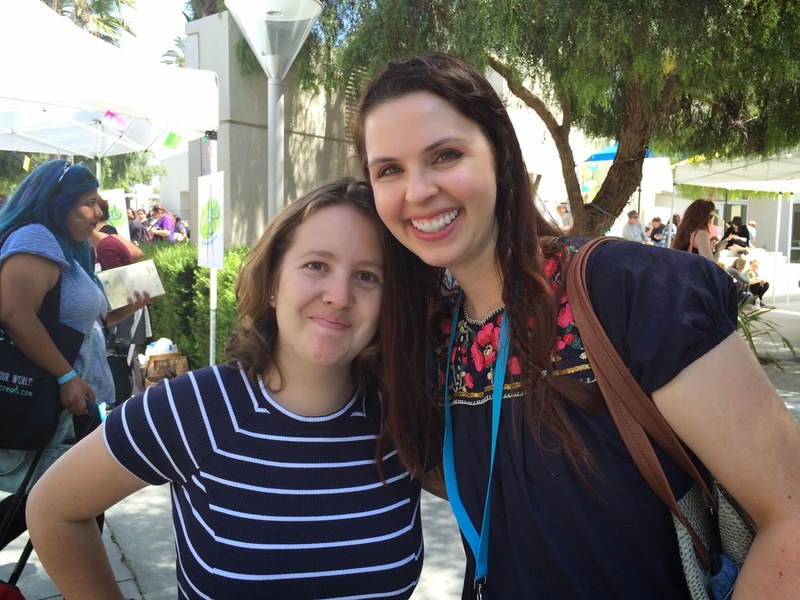 I found her and some other friends in the signing line for Victoria Aveyard. At this point I was debating wether or not to get in line with them as I would be seeing Victoria again at Pasadena Loves YA. Eventually I decided to get in line with them and got Victoria to sign my copy of Red Queen. 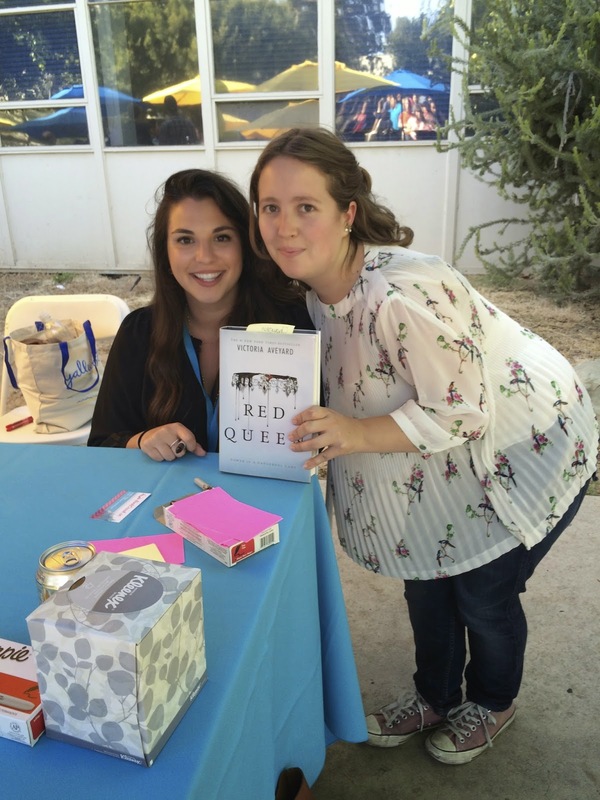 After getting Red Queen signed we heading to the author green room where we were to meet Richelle. I was extremely nervous as this was the first time I had ever done a live interview so I am sure I came of a very awkward during our interview. Once my interview was over I headed out to were they were giving out Sprinkles cupcakes (I am not going to lie Sprinkles cupcakes are my kryptonite). 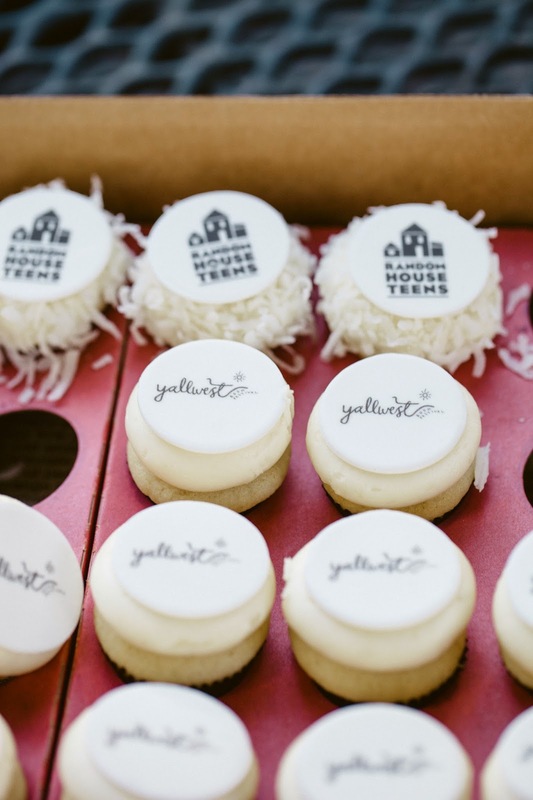 Along with the cupcakes they were giving out free ARCs. 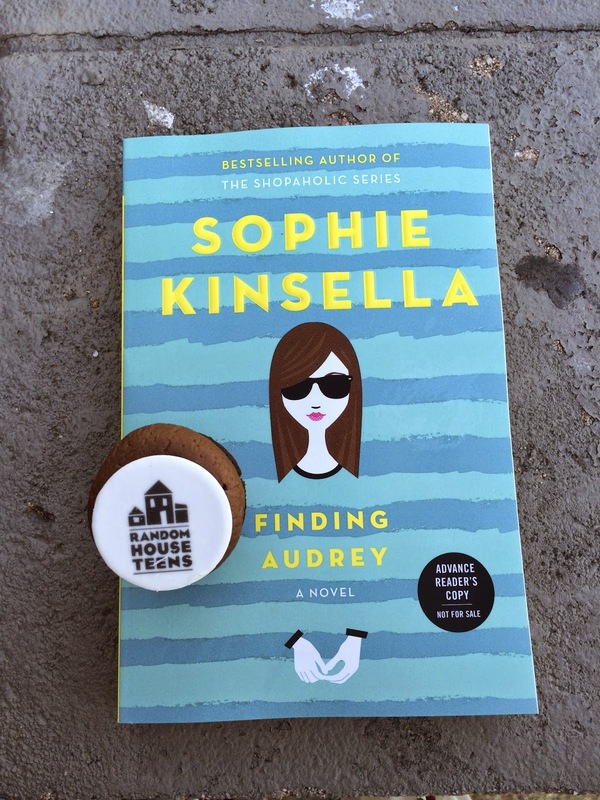 I can’t remember what the other ARCs were but I ended up getting Finding Audrey by Sophie Kinsella (just based on how much I loved Confessions of a Shopaholic). 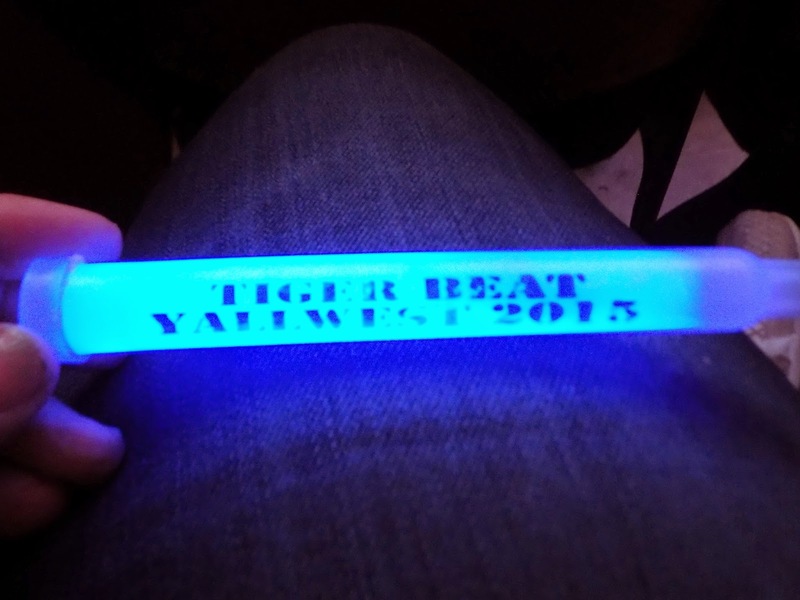 The final event of the night was the Smackdown and a performance by the all-author cover band Tiger Beat. The Smackdown was absolutely hilarious. Not only did they play fun games (like Celebrity Squares) but some authors got up and read their writing from when they were teenagers. My favorite one was E. Lockheart who couldn’t even get through hers because she was laughing so hard. 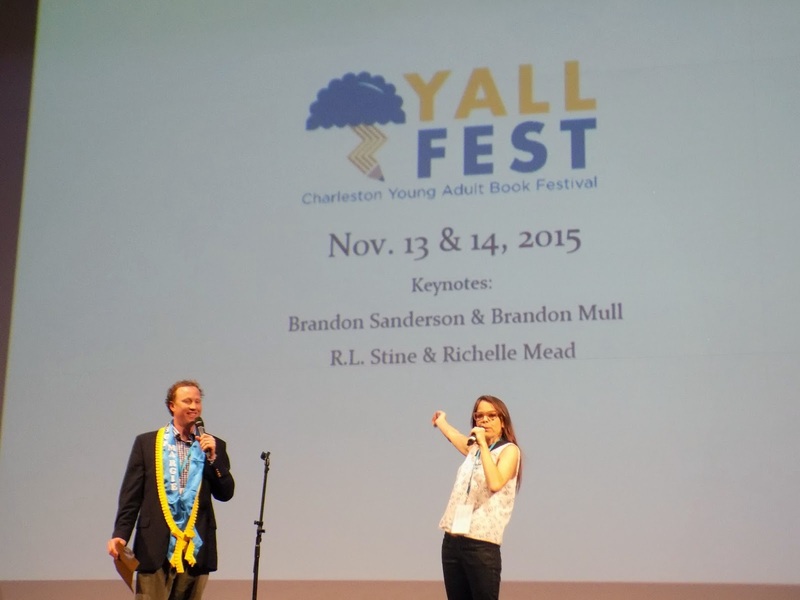 Towards the end of Smackdown “Mayor” Margaret Stohl came up and announced the keynote speaker for YallFest (which happens in Charleston, NC). 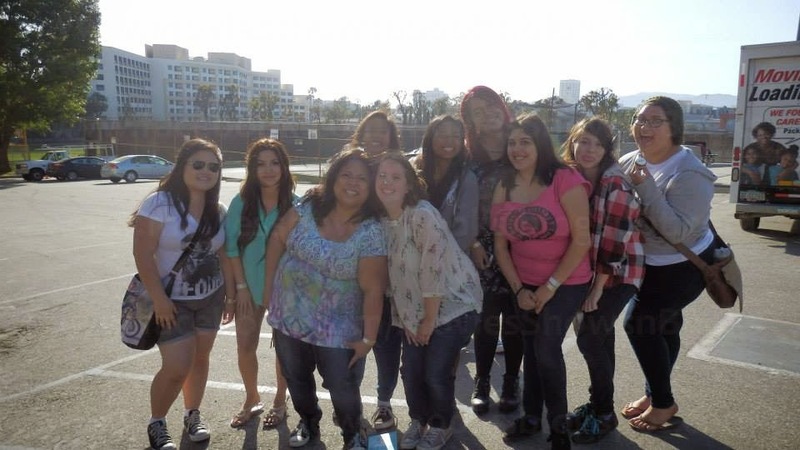 After this is was time for the Tiger Beat concert. I loved this. Even though I was exhausted I stayed for the entire thing and I was so glad I did. The lead singer of Tiger Beat was Libba Bray (I started reading the Gemma Doyle trilogy when I was in high school and was so sad I missed her signing). 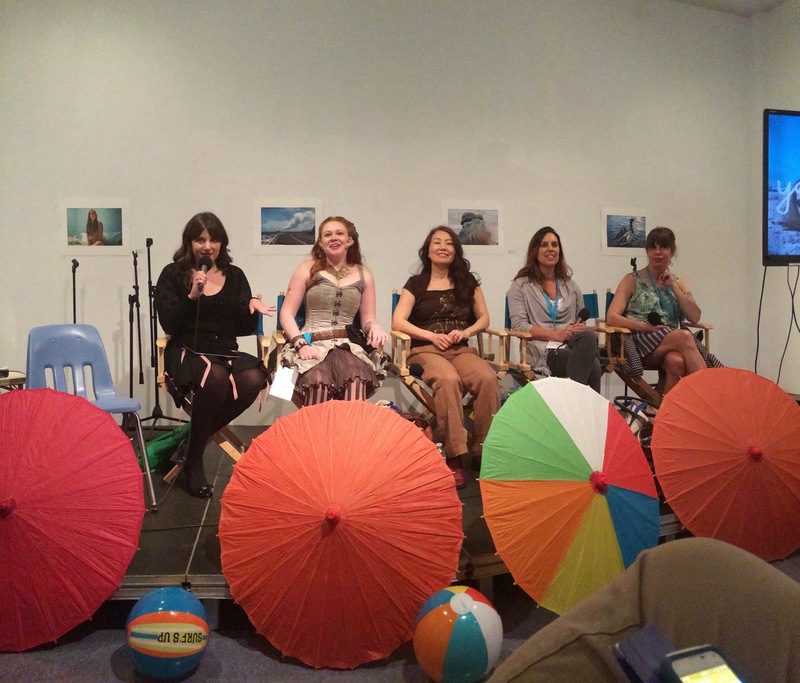 Day Two took place at the Santa Monica Public Library. Because the location was much smaller the vibe of the second day was a lot more relaxed. 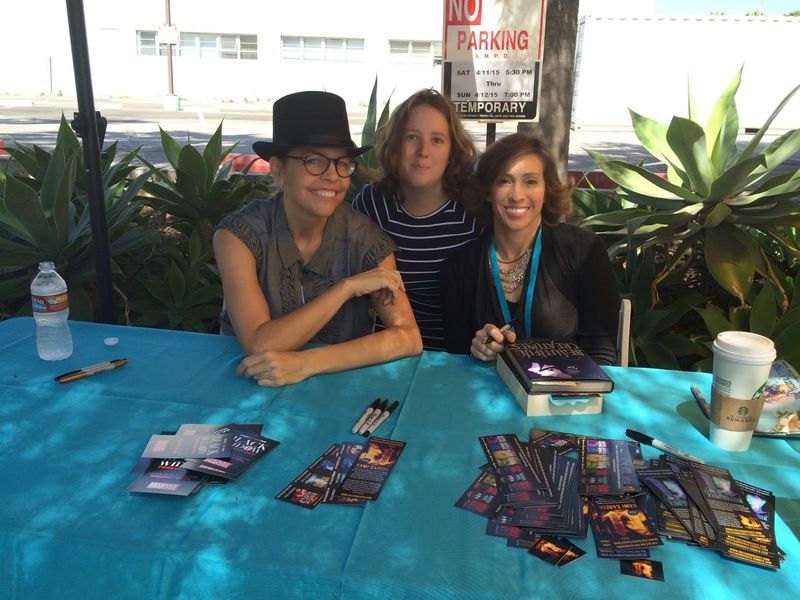 I ended up going to only one signing, for Margaret Stohl and Kami Garcia, and I didn’t even get my own book signed but my friends. 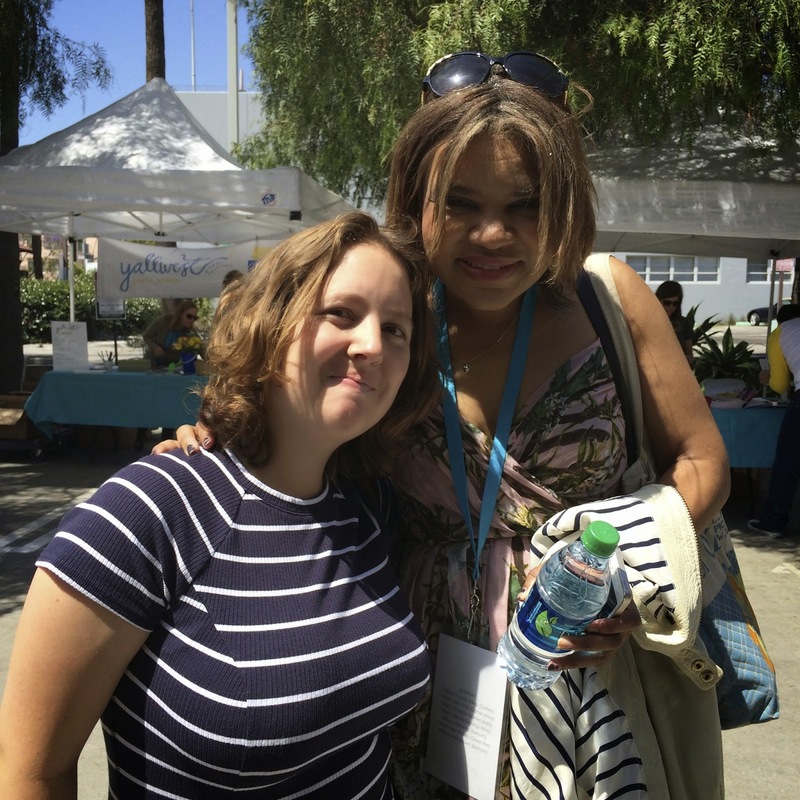 I mostly just hung around outside getting pictures with different authors. 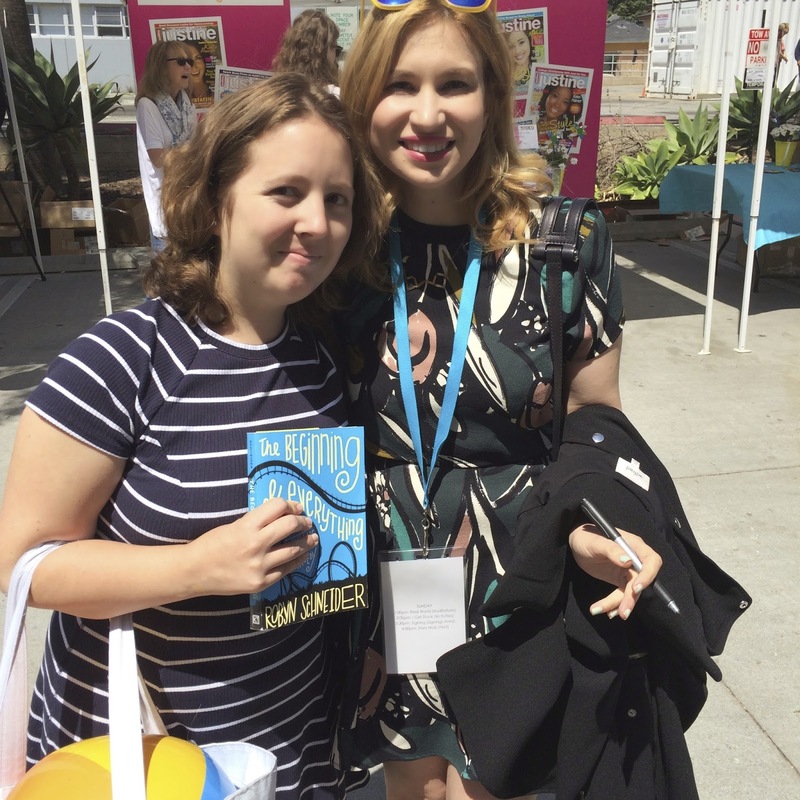 I was even able to get Marissa Meyer and Robyn Schnieder to sign my copies of their books before their signings so I was able to avoid the lines. The one panel I did get to was “Bad Boys, Manic Pixies, Love Triangles: Tropes We Love and Hate”. 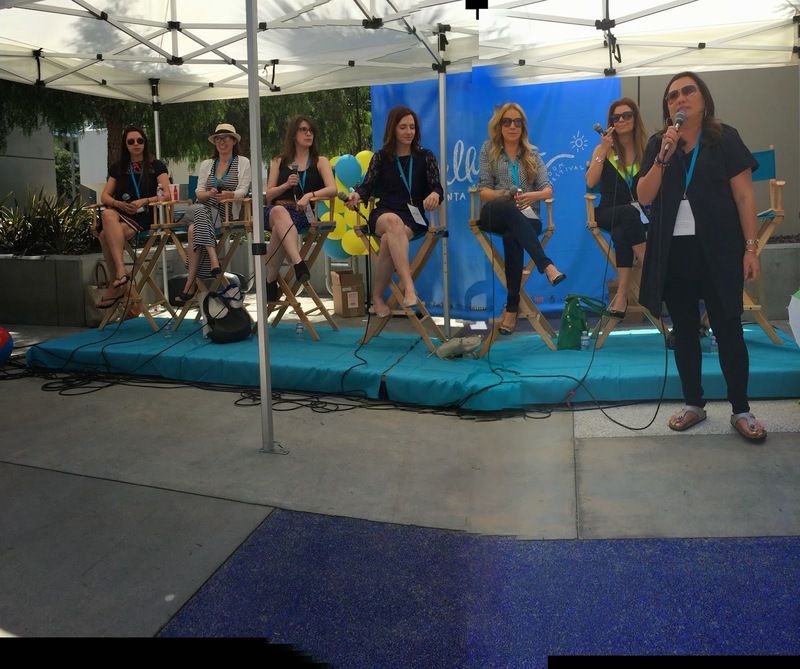 Not only was it my last panel I went to at Yallwest but it was probably my favorite. Afterwards I was able to get a quick picture with Robin Benway. 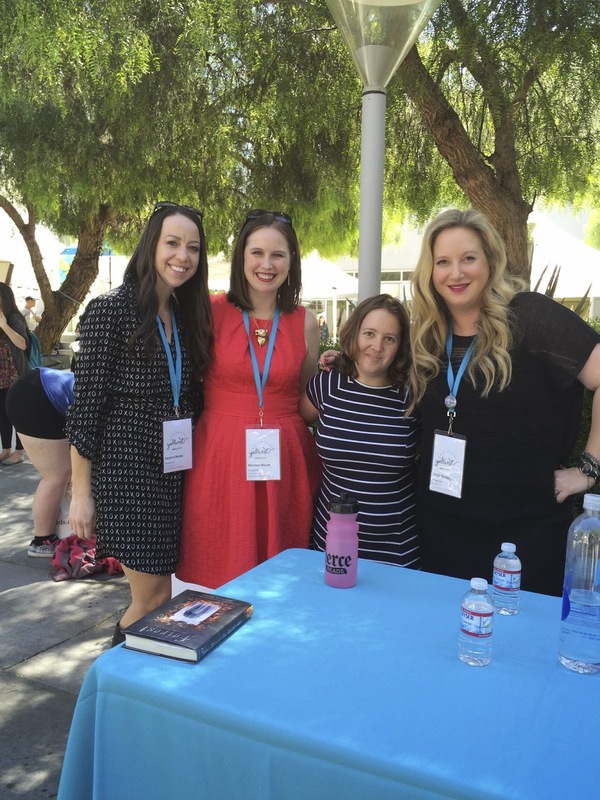 Of course I couldn’t leave Yallwest without checking out the photo booth with my friends. (BTW I am in love with the giant bow I am wearing. I don’t know why but I have a huge love of bows). You can watch entire interview with Richelle here. 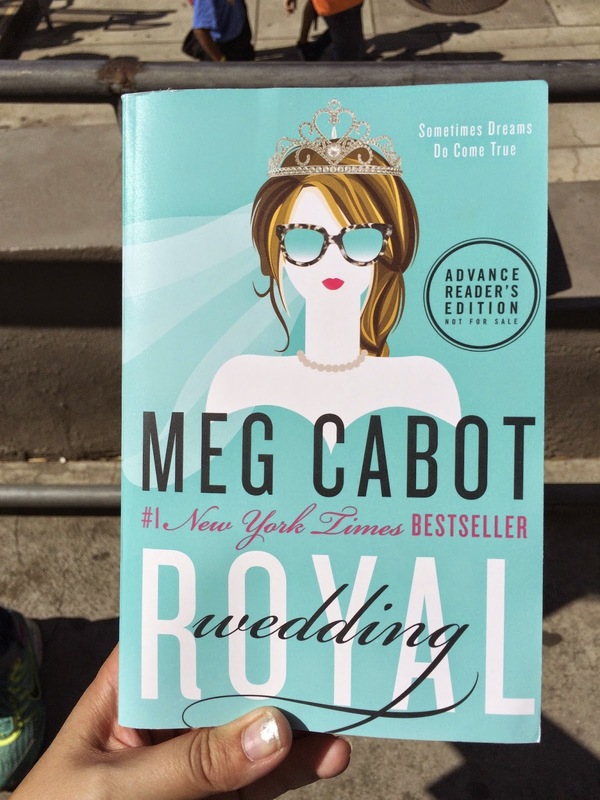 Today I will be giving away an advance copy of Meg Cabot’s Royal Wedding, the newest book in the Princess Diaries series. To enter see the details below. Like. Like Book You Very Much on Facebook here. Comment. Leave a comment below using the hashtag #YALLWESTGiveaway. Wait! I will announce the winner on Monday June 8th. you must LIKE Book You Very Much on Facebook to be eligible. winners will be contacted via Facebook. if I do not hear from you within 24 hours, a new winner will be selected. this giveaway ends at midnight pst on Sunday, August 31st.